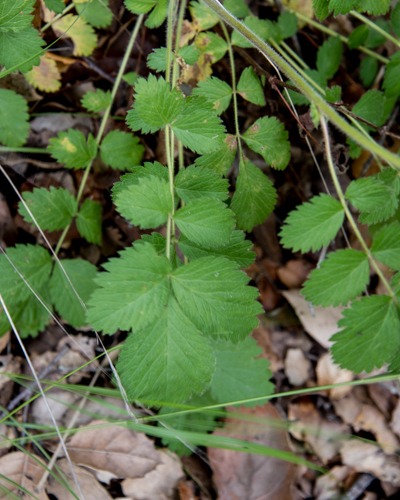 Fairly uncommon plant in the SMFP, found mostly along shaded section of trial above Atascadero Creek. Blooms in late spring. Drymocallis glandulosa var. 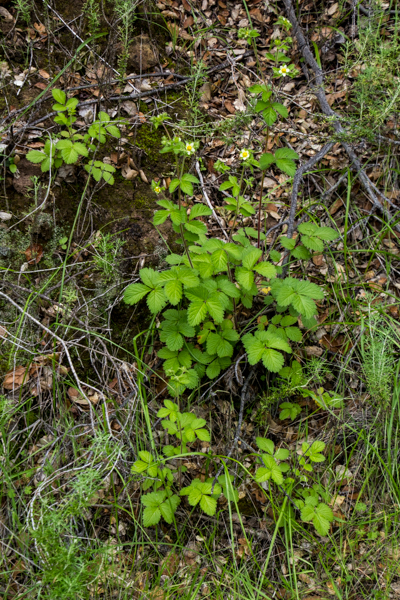 glandulosa (sticky cinquefoil) blooming on hillside in late spring. Close up of leafs which resemble other plants in the rose family. 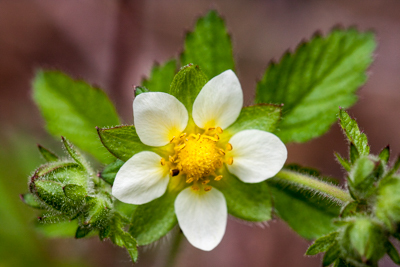 Close up of flower (less than an inch wide).